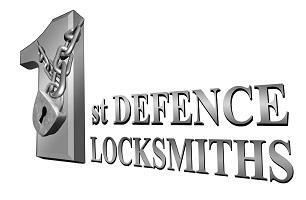 1st Defence Locksmiths Leeds - Locksmith based in Leeds, West Yorkshire. Locksmiths Leeds | Family Run Leeds Locksmiths. Hi, I’m Ben and I own 1st Defence Locksmiths Leeds which is a well-established family run company. I have been in the locksmith industry for over 10 years. I have worked as a bench locksmith while I was still at school many years ago and also had 7 years’ experience with another locksmith company in Leeds, carrying out lock and door repairs. I’ve been running 1st Defence Locksmiths Leeds for over 5 years now and in this time we have built a fantastic customer base with exceptional reviews all over the web. When I first started learning to be a locksmith there wasn’t really any such thing as a locksmith training course. The only way to learn was to try and get a job with an already established locksmith that was willing to give you a chance and show you the ropes. As I’m sure you can appreciate there is a lot to learn and it takes many years to hone your skills and gain experience, just as it does with any job or trade. The problem nowadays is there are so many so called locksmith training companies out there just churning out locksmith after locksmith. Many of these courses are 3 day courses or 5 days at best. How much can you really learn in 3 - 5 days? I am really proud that I learned the old fashioned way as I have something that can’t be taught in a classroom which is experience. We are not a national locksmith company or call centre! When you call you will always speak directly to me, a highly experienced locksmith who can diagnose problems and quote over the phone. Not somebody in a call centre with no knowledge of the locksmith industry. Unfortunately, our industry is full of national call centres who claim to be local Leeds locksmiths but in fact are from out of town. These companies will usually take your booking and then ring around a huge list of locksmiths to see if any of them are willing to cover the job on their behalf. National locksmiths commonly found on Google will often look cheaper than us in their adverts. They are usually stating a call out fee and it's up to the customer to ask if that's plus labour, parts, VAT etc. When we quote a price over the phone that is an all inclusive price with everything factored in. This ensures there or no surprises regarding price once our work is complete. We can always beat these companies on price due to lower overheads, and the most important thing is we are actually locksmiths based in Leeds meaning we can usually get to you much faster in emergency situations. We offer a full 12 month guarantee on all parts supplied and fitted by 1st Defence Locksmiths Leeds. So in the unfortunate event that any manufacturing faults occur which are out of our control we will replace any defective parts immediately giving you maximum peace of mind. For this reason, we now only supply and fit parts as a whole package. We don’t install customer supplied parts as no guarantee could be given on parts. Also buy supplying our own parts we can ensure that only top quality brands are used. We cover all Leeds postcodes and the surrounding areas. We also cover parts of Bradford and Wakefield. 1st Defence Locksmiths Leeds, a family run locksmith company serving the whole of Leeds and the surrounding areas. We cover anything from a simple lock change to a complete master keyed system. We are not a national locksmith or call centre. We have old fashioned values, we are polite, honest and friendly and always aim to carry out work to the highest possible standard. We aim to respond to all emergency jobs the same day and in a lot of cases we can be there within the hour. All our parts come with a 365-day guarantee.